Auckland karter Liam Sceats signed off on a successful sojourn in the Vortex Mini ROK class on Sunday with a rare second series’ title win in the same year at the final round of the 2017 Hampton Downs Top Half Series at Edgecumbe. 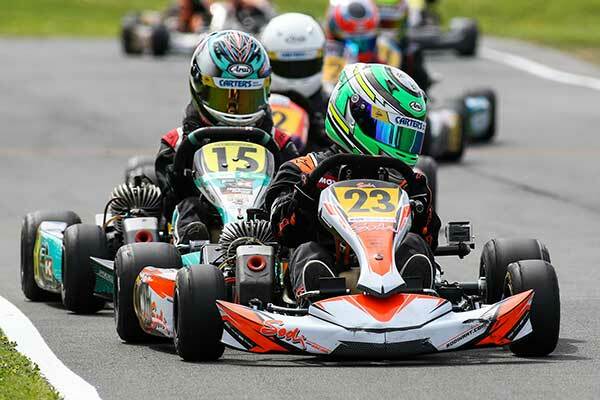 Earlier in the year the 12-year-old won the Vortex Mini ROK class title at the Manawatu & TRC Toyota WPKA Gold Star Series in the lower North Island. 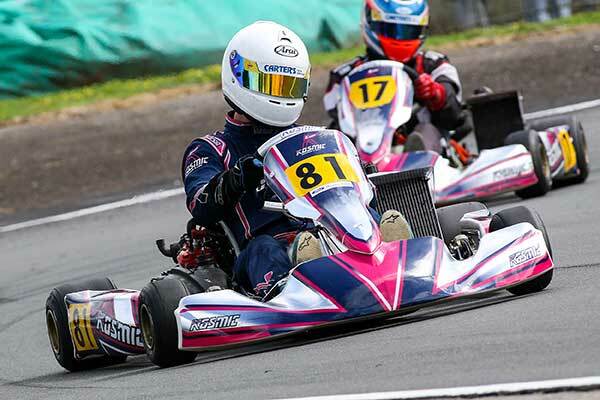 And at the KartSport Eastern Bay of Plenty club’s KartZone Raceway on Sunday he added the Hampton Downs Top Half Series’ class title to his Vortex Mini ROK class tally. He did so in style too, winning three of the day’s five heats and finishing a close second in the other two to claim the class round win from recently crowned North Island champion Ryan Hancock from Cambridge and Hayden Bakkerus from Auckland. Sceats now moves up an age bracket to the Junior Rotax class. As it turned out he was not the only driver at the meeting to do the Gold Star/Top Half double this year either. 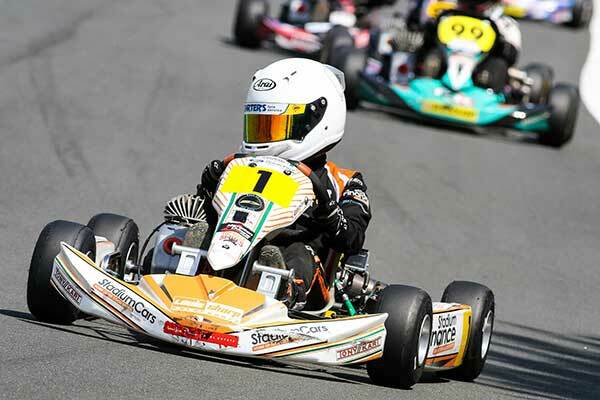 Well-travelled Christchurch 10-year-old Louis Sharp, the reigning South Island and New Zealand Cadet ROK class champion also claimed Gold Star and Top Half titles this year. Like Sceats he didn’t just win on the day at Edgecumbe either, he dominated, winning four of his five heats and finishing second in the other. 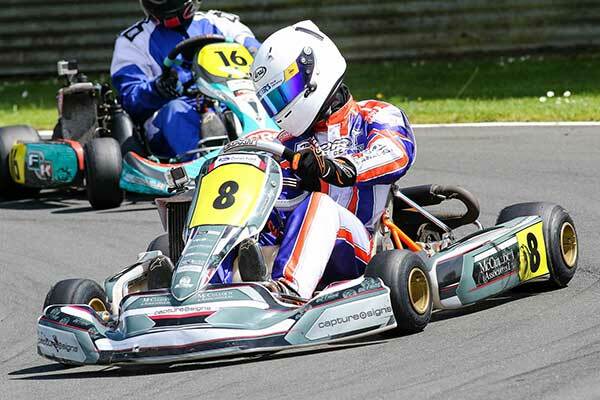 Recently crowned North Island Cadet ROK class title holder Jay Urwin was second, fellow Bay of Plenty driver Hayden Lines third. The big winner in the Senior classes on the day was another seasoned traveler, Michael McCulloch from the Kapiti Coast. He won three of his Rotax Light class heats, was on the podium in the other two, and also won the standalone cash prize money Grand Prix race to win the round from top Bay of Plenty driver Taylor Harte and Brad Wenzlick from Hamilton, and the GP race from Sam Hunter and Caleb Gargan. Round winners in the other Senior classes were Sam Waddell from Tauranga in Rotax DD2 (three wins and podiums in the other two races), Scott Allright from Auckland in Rotax Heavy and Mark Rose in ClubSport 120. The other Junior class winner was Auckland’s Ashton Grant who led home Hamilton’s Clay Osborne and North Island champion Ryan Crombie from Auckland in Junior Rotax.